The Currency @ Manila – Ortigas City, a 32 storey mixed use condominium development that offers world class residential, corporate and retail amenities with a lot area of 2,015 sqm. It features two towers of mixed-use development located at the corner of F. Ortigas Jr. Ave. (formerly Emerald Ave.), Julia Vargas Ave and Garnet Road, the crossroads of major business establishments and commercial activities. The 32-storey Tower 1 comprises 341 residential units of studio and 1 to 2 bedrooms, 18 commercial units and 59 offices. Located at the heart of Ortigas Central Business District, The Currency @ Ortigas is easily accessible to most important cities in the Metro Manila area. It enjoys a strategic location to multiple shopping malls such as The Podium, Shangri-la Plaza, SM Megamall, St. Francis Square, Metrowalk, served by two nearby MRT Stations – Ortigas & Shaw Boulevard and near to numerous schools / universities. Makati Central Business District is just 15 minutes away and the Ninoy Aquino International Airport 30 minutes away. The Currency at Ortigas is the ideal abode for Urban Worker working in the metro. From here, travelling from home to work is a hassle free and time saving experience for these active young executives. The development also provides a fine selection of lifestyle facilities that includes swimming pool , fitness gym, landscaped gardens, Al Fresco dining and sun-deck on the10th floor. Stay in shape with the equipment in the modern gym, relaxed in the cool water of the swimming pool or simply stay connected while lounging by the pool deck. The Currency @ Ortigas – a haven that provides a welcome antidote to a hard day’s work as well as an excellent choice for investment or home stay. 2) Sustained expansion of MNCs buoys rental growth. 3) Local Investor demand supports healthy investment market activity. 3) Strong investment interest drives higher capital value growth. Own this Attractive Development at a low price. Don’t miss out this opportunity. SMS 'currency' & YOUR NAME TO (+65) 91259978 (Alvin Tay) for MORE INFO. 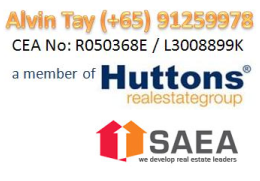 Invest with as low as S$35,000 (30% down-payment). 3. VAT already included in price.